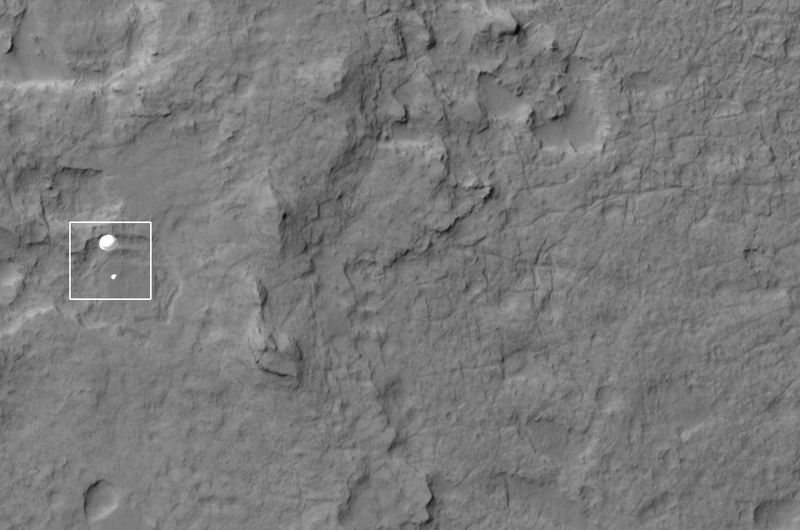 PASADENA, Calif. — NASA’s most advanced Mars rover Curiosity has landed on the Red Planet. The one-ton rover, hanging by ropes from a rocket backpack, touched down onto Mars Sunday to end a 36-week flight and begin a two-year investigation. 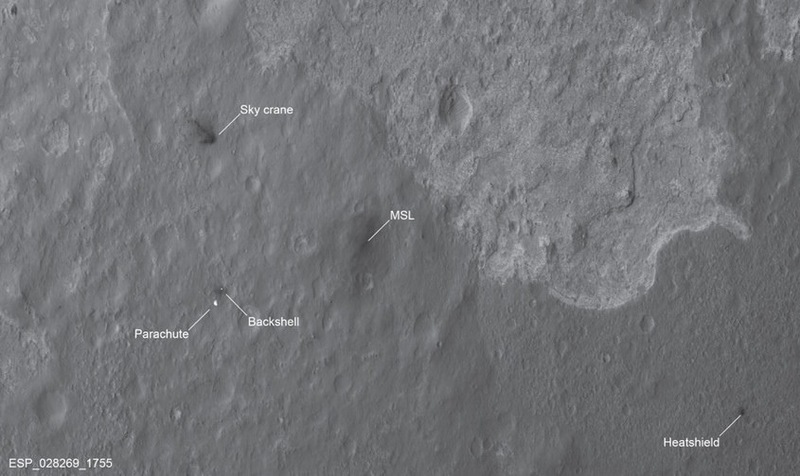 Curiosity landed at 10:32 p.m. PDT Aug. 5, (1:32 a.m. EDT Aug. 6) near the foot of a mountain three miles tall and 96 miles in diameter inside Gale Crater. During a nearly two-year prime mission, the rover will investigate whether the region ever offered conditions favorable for microbial life. The rover, powered by a radioactive heat source rather than solar cells, is expected to last at least two Earth years and can continue to operate through the incredibly cold and dark Martian winter. Winter was and is a danger for solar-powered rovers like Opportunity, still operating on the surface of Mars, as is accumulation of light-blocking dust. 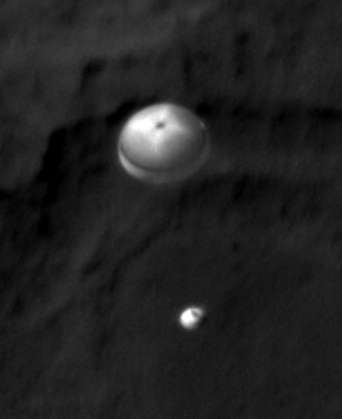 This entry was posted in Uncategorized and tagged Curiosity, HiRISE, Mars, Mars Rover, MRO, NASA, Opportunity. Bookmark the permalink.